Purpose built cases offer solutions for any transport or storage application. Americase accessory cases are great ammo cases, shooter’s accessory cases, and can hold personal belongings or any valuable commodity that needs to ship in a rugged, protective case or trunk. All accessory cases are lockable and have either Santoprene or vinyl seals, to assure a dust-proof, water-resistant seal. 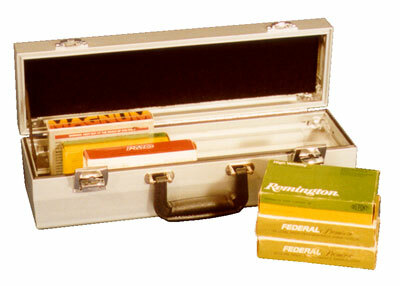 Americase also custom manufactures accessory cases, which are built to your specifications.